We take this part of our job very seriously. 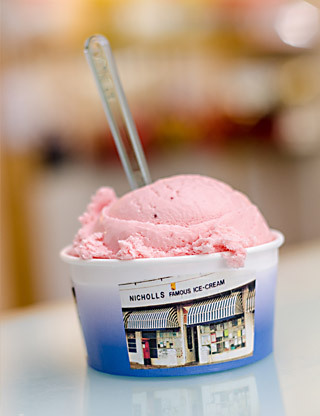 Each ice cream is made on site with the finest ingredients, we bring incredible flavours from Italy and mix them together with our hand-made ice cream base made everyday in our shop. 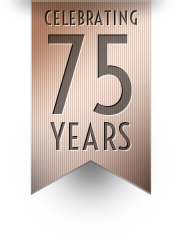 Of course all our flavours have to be the best, we have 75 years of ice cream making history to keep up with. Coming up with new ideas is easy but making sure a Christmas pudding ice cream tastes like Christmas pudding or lemon meringue pie tastes like lemon meringue pie is the real art. Luckily though we get to taste everything until it is just right! Opposite is a menu of our regular flavours, but don't forget to keep an eye out for our specials board for something a little different! So now you've done the hard bit (choosing a delicious flavour! 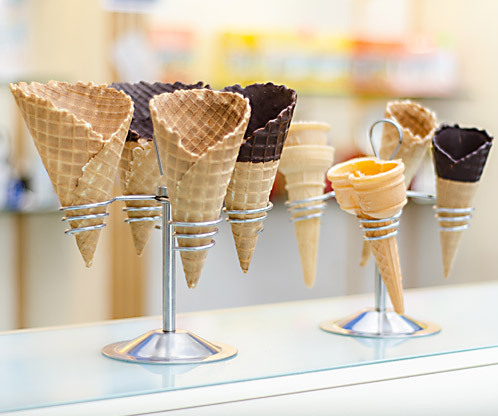 ), all you need to decide is how big you want your ice cream to be - we have loads of cones to choose from or even a tub if you want to take some home for later. 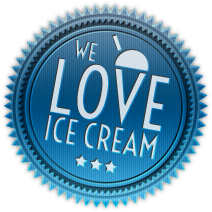 You can enjoy our delicious ice cream at home anytime you like by asking us to fill up a tub for you. We have tubs up to 10 litres, all you need to do is decide how much of the good stuff you would like!